Eugène Joseph Verboeckhoven (9 June 1798 – 19 January 1881), Belgian painter, was born at Warneton in West Flanders. He was a painter, a sculptor, an etcher, an engraver and a lithographer of animals, animated landscapes and portraits. Eugène Verboeckhoven studied under his father, Barthélemy Verboeckhoven, a sculptor. In 1816 he worked under Voituron in Ghent. In the first half of the 19th century, the salons were a home for burgeoning art. Verboeckhoven was a regular participant at the Ghent (1820 and 1824) and Brussels Salons (1827–1860). He visited the Ardennes, France, Great Britain (1826), Germany (1828) and Italy (1841). He was held in high repute and elaborated on the works of artists such as De Jonghe, De Noter, Koekkoek, Daiwaille, Kheelhof, Verheyden and his pupils Louis-Pierre Verwee and the Tschaggeny brothers. He was a member of the academies of Brussels, Ghent, Antwerp, St. Petersburg and Amsterdam. Verboeckhoven was an excellent painter of animals and, together with his pupils, appears to have been the last link to a secular tradition with its roots deep in the 17th century, which linked observation of nature, studied composition and idealized reproduction of reality. Like the Old Masters, he obtained the colour blue for his skies by grinding down lapis lazuli. He was a prolific artist and very meticulous in his preparation: hundreds of sketches and studies were produced on the spot, assembling different elements like pieces of a jigsaw puzzle. 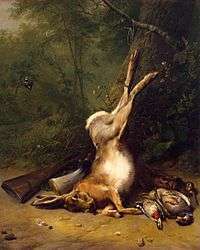 Such was his dexterity that many artists called upon him to enrich their works with some of his animals and figures. Between 1841 and 1842, he visited Italy, Switzerland and Scotland. His inspiration remained the same and his technique unaltered, but his notebooks were now filled with sketches of different landscapes. The beauty that emanates from his paintings occasionally hides Verboeckhoven’s fundamental talent for drawing. Attention should first be drawn to his preparatory works: his sketches, lithographs and engravings. His portraits, historical subjects and sculptures also merit attention. This article incorporates text from a publication now in the public domain: Chisholm, Hugh, ed. (1911). 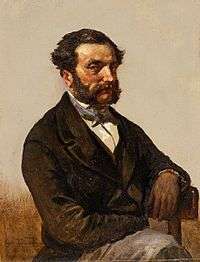 "Verboeckhoven, Eugène Joseph". Encyclopædia Britannica. 27 (11th ed.). Cambridge University Press.